??? A Question I Frequently Get Asked ??? Working in the field of Women’s Health, patients frequently ask me how and why I became interested in doing the type of therapy that I do. While in the physical therapy program at Hunter College in New York City, I became interested in orthopedics and very quickly realized that is what I wanted to specialize in. So I did. After I graduated and received my professional license, I began working in the field of orthopedics. I worked at two of New York City’s prestigious Orthopedic hospitals and a private Orthopedic practice that specialized in treating performing artists. I then went on to work at a Rehabilitation hospital where I practiced all aspects of Orthopedic physical therapy. I worked with both females and males. I went on to become a certified Orthopedic specialist in my field. Around 10 years into my career, I became interested in orthopedic injuries and illness that were more prevalent in females, since I am a female. I began taking continuing education courses related to those types of subjects. One of the courses I took was presented by a host of professionals including MD’s and the founder of the American Physical Therapy Association’s Section on Women’s Health, Elizabeth Noble, physical therapist. The topics covered ranged from things like prenatal and postpartum exercise and care to post mastectomy care, urinary incontinence and pelvic pain in women. I instantly realized I needed to incorporate treatment for these types of conditions into my regular orthopedic practice as there was a great need for it. It was a found missing puzzle piece for me. So many females require treatment in these areas and services were lacking. I became passionate about wanting to treat in the realm of Women’s Health. So, I began taking more and more courses given by the leaders and experts in the field and became the co-founder of a Women’s Health program at the hospital at which I was working at the time. Within a few years after that, I decided to open my own practice with the emphasis on dedication to treating Women’s Health-related conditions. Having a strong orthopedic background has helped me to be a better practitioner and look at each patient more comprehensively. In addition to being a physical therapist, I am also a certified yoga instructor and have a background in dance, which enhances my understanding of functional movement in the body. I love and respect the work that I do. As a female, I find it fulfilling to work with and help other women on a daily basis. My focus is on treating females but I do treat males who have pelvic floor muscle dysfunction and/or would like orthopedic physical therapy. A recent statistical study reported that in the USA alone, approximately 600,000 hysterectomies are performed annually. Hysterectomies are performed for various reasons such as cancer, endometriosis, excessive bleeding and tumors. The procedures can be carried out abdominally through an open incision, trans-vaginally, laparoscopically and more recently, robotically guided. The scope of the percentage of reproductive organ removal varies from removing just the uterus to complete hysterectomy where uterus, cervix, ovaries and even a portion of the vaginal canal are excised. Pelvic organs (uterus, ovaries, bladder and bowel) contact each other inside of the body by proximity and connective tissue attachments. This type of surgery can disrupt the natural function and stability of both internal organs as well as that of the pelvis and spine. Hysterectomy has been linked to incontinence, surrounding organ prolapse, back pain, abdominal weakness, to name a few. 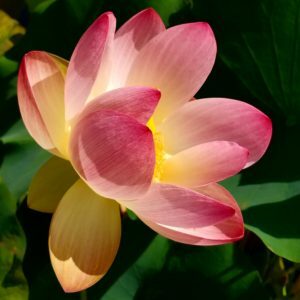 After having a hysterectomy, whether partial or complete, it is helpful to have guidance in learning how to restore function to abdominal and spinal muscles as well as strengthen pelvic floor muscles to provide internal stability to remaining organs. Learning proper body mechanics for mobility and exercise can be extremely helpful. Seeking guidance from a Physical Therapist who is an expert and specialized in Women’s Health, can help decrease pain and restore lost function and potentially further problems down the road. and diminish depression. Weight bearing exercise could simply be brisk walking for weight-bearing to the lower extremities and pelvis. Weight bearing can also be done in the form of exercise on hands and knees if possible, like gentle yoga. This would help with weight-bearing to the upper extremities and upper spine. Exercising with resistance bands or weights strengthens both muscle and bone. 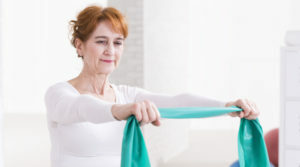 A 2016 study by Kai, Nagamatsu, Kitabatake and Sensui in the journal Menopause showed that gentle 10-minute nightly stretching, for example, before bed-time could also help diminish symptoms such as hot flashes and feelings of depression. So a combination of aerobic-type exercise along with resistance training as well as stretching all prove to be beneficial as women transition through their menopausal and post-menopausal phases of life. It is always best to be guided by a professional, like a physical therapist whose training and expertise is in Women’s Health for best out-comes and avoidance of injury.